This post was updated in May 2018 to reflect the latest information. Many universities boast a number of notable alumni, but few universities hold a candle to Yale University’s impressive and wide-ranging list of former students. If you were to somehow manage to get them in a room for a party, you’d be rubbing elbows with presidents, senators, authors, economists, and certainly a famous actor or two. But what does that mean for you, not-quite-yet-notable grad school applicant? Well, it means that you’ve got your work cut out for you if you want to join the elite alums of Yale. And one of the key factors in deciding your fate is naturally going to be the GRE. So what scores will you need? *US News & World Report has not provided updated information for these scores; however, we have included these as the last listed scores for this program. The Verbal Scores are in the 68th and 75th percentiles and the Quantitative are in the 93rd and 97th. Chris Swimmer is an analyst at Magoosh who divides his time between marketing and research projects and helping folks out with their math hang ups while studying for the GRE and the GMAT.Follow him on Google+! And you can follow him @chrisrswimmer on Twitter. I must say you people are doing a great work. Thanks for helping and keep it up. What do you suggest, can I get into yale? Thank you! 🙂 We love hearing that students are benefitting from our work! I think you definitely have a shot at getting into Yale! Your scores are within the range that Yale is looking for for this program. Remember that admissions committees will be looking at your scores, GPA, experience, essays, and previous work – and comparing you to other applicants in your class. So, I recommend putting a lot of effort into your application and giving it a shot! Hi Chris. This is Vandana. My GRE score is 297 (V:150, Q:147)..Really wanted to apply for Phd in Clinical Psychology in Yale. I have a good academic record and have done both post-graduation as well as M.phil in the same subject from India with distinction at each degree. Do u think it is too ambitious to apply here..? ?..Will my qualifications be given weighted over my low GRE score..??? do you think i can get into Yale with the below mentiond profile or is it too ambitious ? Hey Tajinder! Your profile seems pretty good. Unfortunately it’s quite difficult to say one way or another how the adcoms would decide. I’d try reaching out to them and seeing what they have to say! A word of thanks to you and your staff, you have made the GRE process as painless for an overachiever as it could be. I received a 163V and 159Q. I am interested in their political science program. Do you think that being on the upper bound in Quant would offset the lower Verbal? Also, do you have an idea on Univ. of Chicago in respect to GRE scores? I want to do Masters in MIS, how much score i have to get in gre to get into Yale, i have 2+ years of Software operations experience. I just took the gre and did OK scoring 162 Verbal and 154 Quant. However, I am really hoping to get into a top 20 English PHD program and not sure my verbal scores will be good enough. 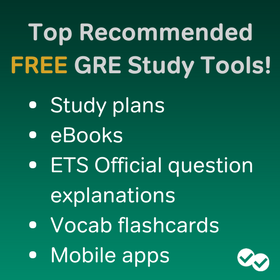 Should I consider taking the GRE again and can Magoosh help raise my score to the 165-166 range? Hey Frank! I’d definitely say that you can get to at least the mid-160s with Magoosh, and maybe bring up that quant score, too! That being said, moving up points on the high end of the score range (160+) is no walk in the park. It’ll take a lot of work on your end to get there. 🙂 Let me know if you have any questions when you’re deciding! Hi Chris, Thank you for the useful post. I|m thinking about applying to Yale to do my PhD in history there. Just received my results, While my quant and verbal comps were quite good (158 and 166 respecitively), I’m worried about the bloody writing part, where I got 4.5. You don’t include that part in your (immensely useful) comparison. How important is the writing section and is my score any good? Hey Beata! Unfortunately it’s pretty difficult to say as how schools assess the writing portion varies wildly. I’d check with the history department directly to see if they can shed some light! I studied about 3 weeks for this test while doing job searching, and might have gotten a little lucky. For the next step, I want to raise my verbal score to about 163-165. Is this achievable? How long do you think that will take with Magoosh’s program? I just signed up for Magoosh and found those videos really helpful. I’ll be trying my best to gun for that 165 in verbal. I took a look at the plans you mentioned. 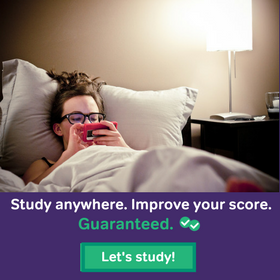 Do you think I’d be better off following 90-day study plan for advanced students, or the 90-day plan with a verbal focus? Glad to hear you’ve signed up! If you have any questions in the future, feel free to use the “Help” tab at gre.magoosh.com. Anyway, I say definitely go with the verbal focus 90 day plan. Since you have a good grasp of quant, you can proceed at your own pace on that side. As for what you should be doing, expanding your vocab is great (especially in context), but there are a lot of other strategies you can employ to improve your verbal score, and you’ll find those in the study schedules. Definitely follow along with the schedule, and keep up with your vocabulary studies on the side. Thank you so much,I would wait for the updates on Columbia School. 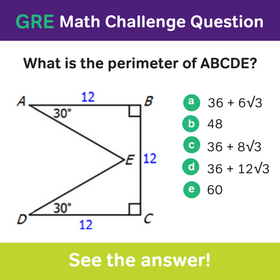 I really appreciate your detail notes on the boundary score for GRE, for Yale and others universities that you have been doing for the last couple of months as i noticed.indeed, it is the great source of motivation and helping to fix the target.I am targeting Columbia University for PhD in economics. Luckily, my Master Research has been acknowledged by the one of the prof in Econ Dept.How much score in GRE would help me to secure my admission there.would you mind putting the detail notes on Columbia University? Hey Shafi! Glad you found the posts informative. 🙂 Remember that no specific score will guarantee admittance, but I’d say having a connection with a professor is a great start! I’ll have a revamped version of the Columbia schools post within a couple weeks, so be on the look out!